As we approach the middle of August, I come to the sad realization that the summer is officially dwindling down. Soon the humid air that makes us crave refreshing dishes will be a thing of the past and we’ll being clinging to warm, savory foods as the crisp chill of fall rolls in. 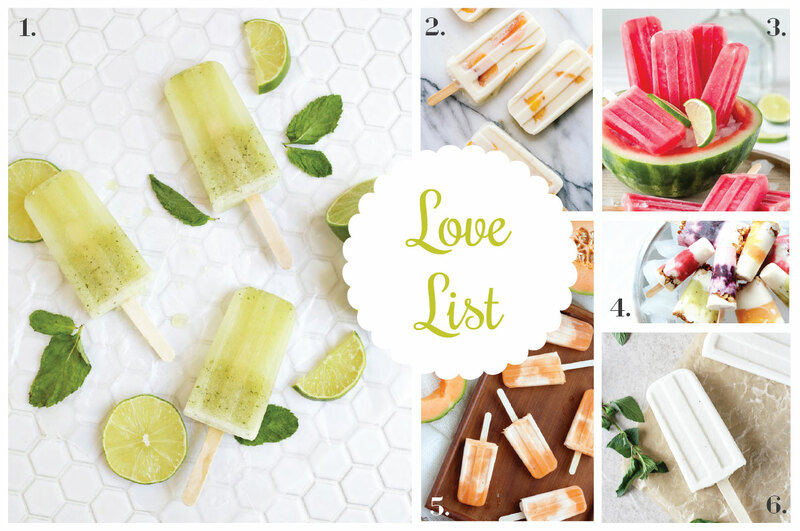 As an attempt to fulfill those last few cravings for refreshing, cooling treats I’ve decided to focus the remainder of August on creating fun flavored popsicles. 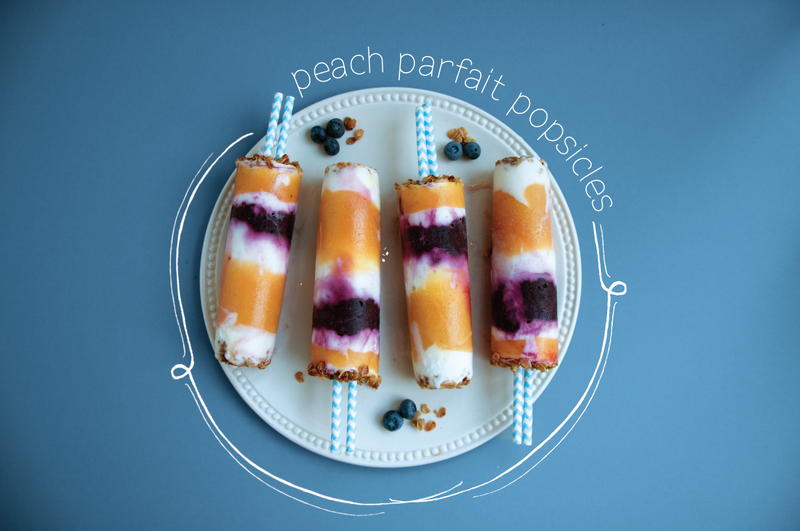 This peach parfait popsicle is a great and healthy treat to jump start your day. 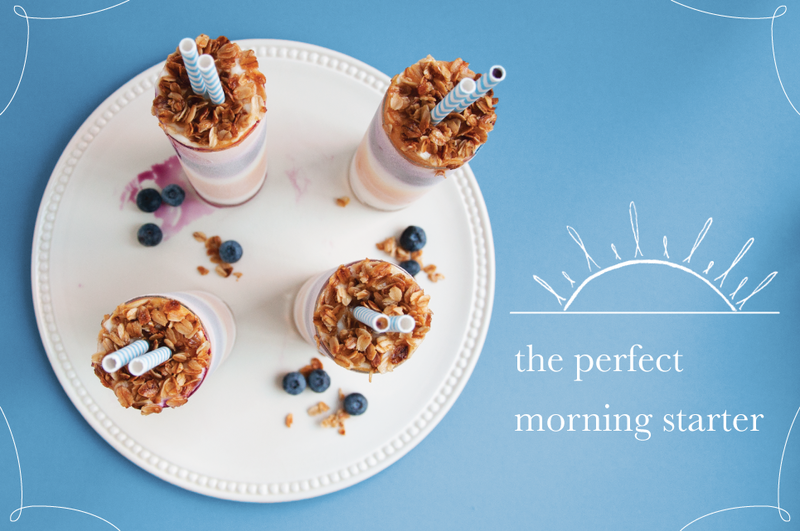 It’s packed with peaches, blueberries, vanilla yogurt, and topped with granola. Start of by making both the peach puree and blueberry puree. Peel and remove the pits from the three peaches. Cut up into slices. Place in the food processor with 1 tbls of superfine sugar. Puree until smooth. 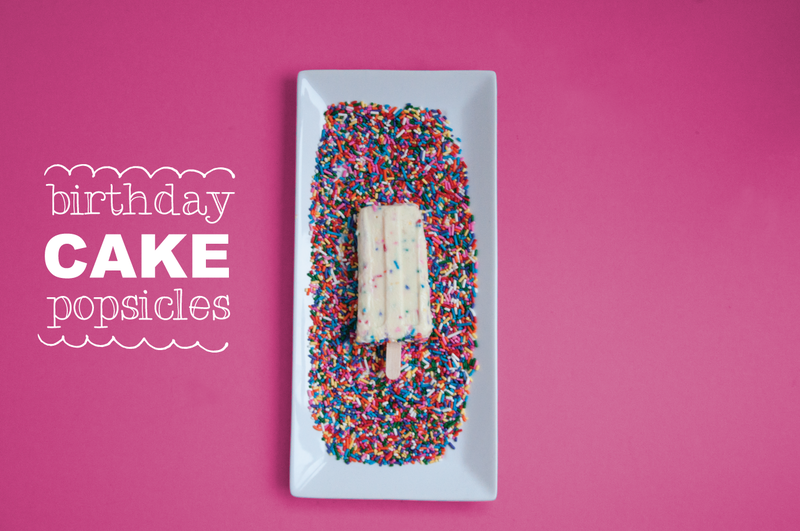 Place in a bowl, set aside. 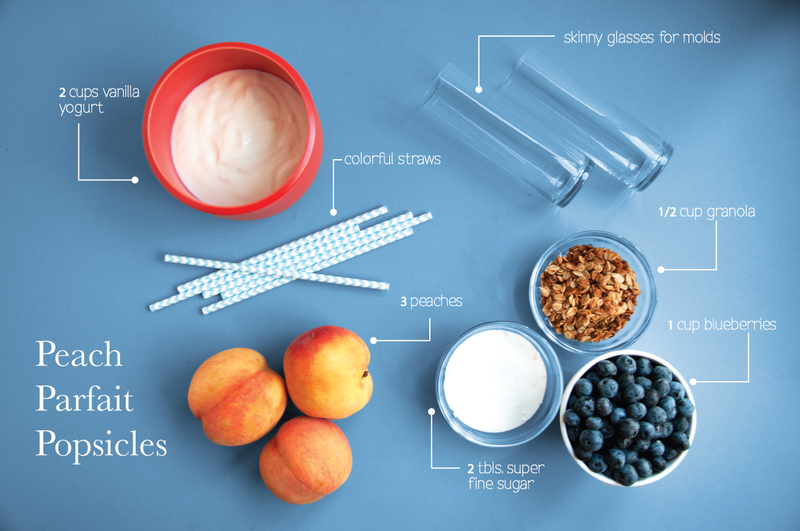 Wash blueberries and place in clean food processor with the remaining 1 tbls of superfine sugar. Puree until smooth. 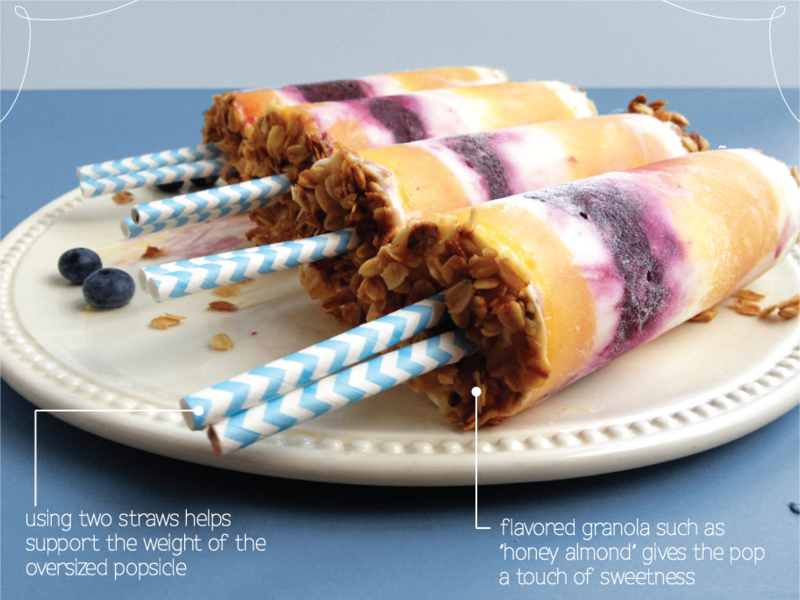 To layer the popsicles, first start off with a thin layer of granola at the bottom. 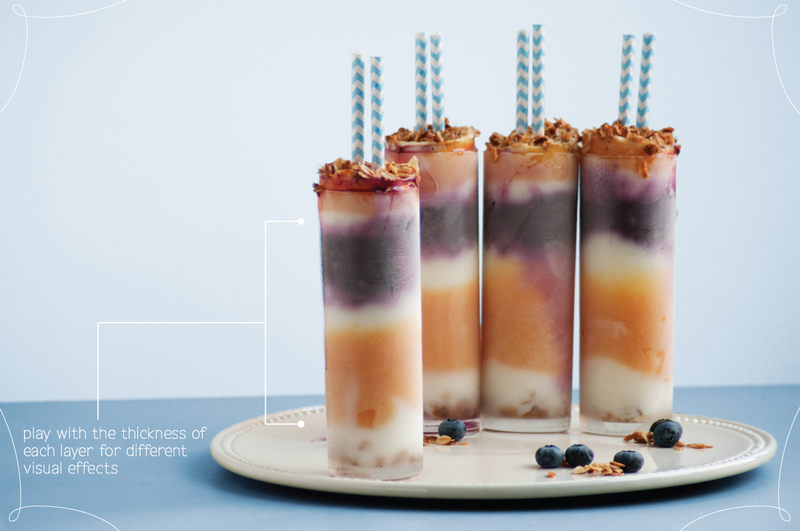 Then alternate between the vanilla yogurt, peach puree, and blueberry puree. You can mix up the layers to your liking. 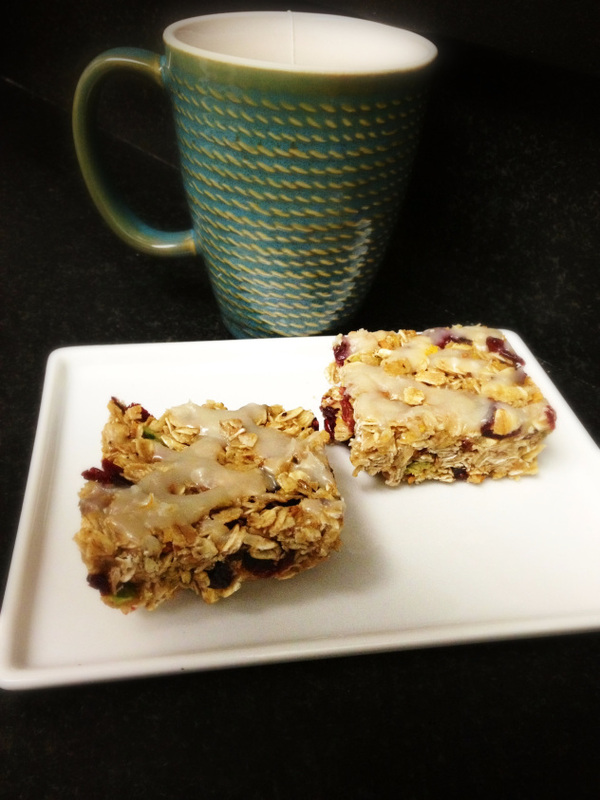 Add granola again at the top of the glass and place popsicle sticks into the middle of the molds. 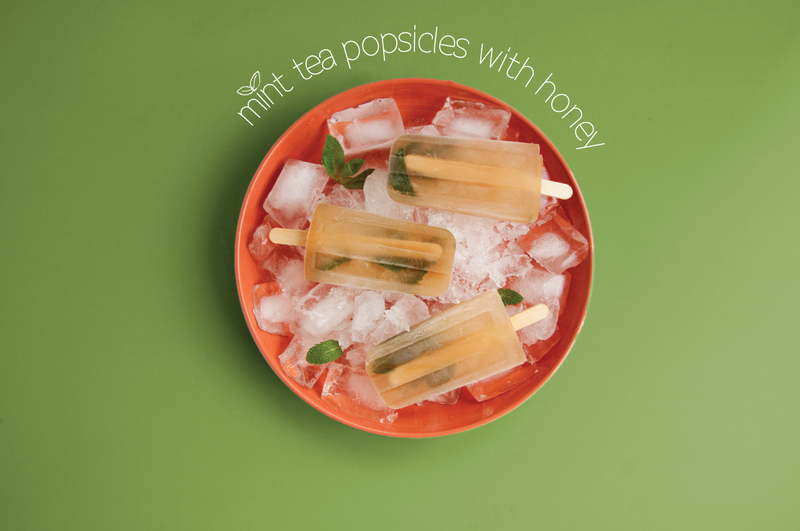 We made jumbo popsicles and used two straw for double the strength when eating.